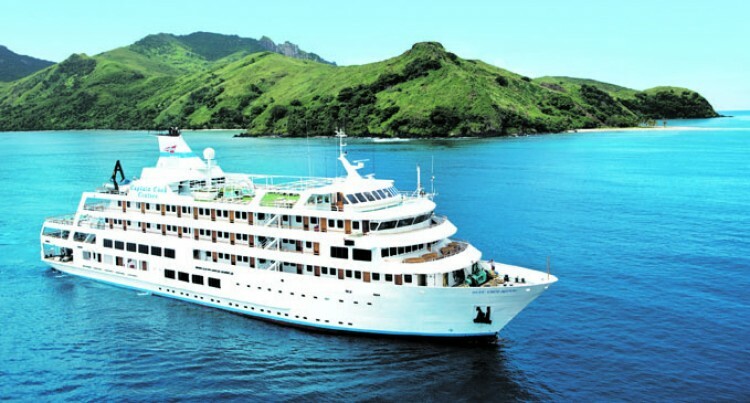 Fiji’s only local cruise liner busi­ness, Captain Cook Cruises Fiji has significantly contributed on Fiji’s economic activity since the 1960’s. Sales and marketing manager, Fiji Ayshia Zayanth said maritime com­munities continue to benefit from their services. MV Reef Endeavour hosts guests to a three nights, four, seven and eleven night cruises around the Mamanuca and Yasawa Islands and remote northern Islands of Fiji. “Our accommodated cruise liner, MV Reef Endeavour has a signifi­cant impact on Fiji’s economic activ­ity,” Ms Zayanth said. “We are the only local cruise vessel visiting locations throughout Fiji, this enables us to show case the most remote and untouched areas of Fiji whilst bringing the much needed tourism dollar to small maritime communities around the country . “That would not normally be able to capitalise on the growing industry.